We are all becoming increasingly dependent on technology–connecting more devices to more servers and networks to communicate, collaborate, automate and get our jobs done. New mobile and cloud technologies put more information and resources at our fingertips than ever before. We’re updating solutions, devices and infrastructure sooner rather than later to leverage technology that can help us to improve employee productivity, attract new customers and streamline operations. But we also need to think about the resources required to develop and use technology. What chemicals, metals and synthetic materials are needed manufacture and package bright and shiny new technology devices and systems? Where do these materials come from? Where do they wind up when we discard them for newer ones? How much energy does it take create technology products? And how much power is required to cool massive cloud and corporate data centers–or even just a couple of servers in your office? While we tend to think that only IT vendors and big businesses can have a significant impact on the environmental impact of technology, all businesses, regardless of size, can use green technologies and practices to contribute to environmental sustainability–and at the same time, reduce costs. Reducing e-waste. Many metals, minerals, wood products and chemicals required to make and package technology devices. According to the Foundation for IT Sustainability (http://www.ffits.org/), ten percent of the world’s gold production is used in electronics, but only 30 percent of this gold is recovered from scrap. Even worse, only 10% of the copper used in electronics is recovered. Overall, the U.S. EPA estimates that in 2010, just 27% of the 2,440,000 tons of e-waste generated in the U.S. was recycled. This means that 73% is sitting in someone’s attic or trashed–potentially oozing into the soil and eventually into rivers, streams and oceans. In addition, many of these resources are not renewable–so we hasten depletion of a finite supply if we don’t reuse them. Decreasing energy consumption. Consider the energy used to power our devices and data centers. For the most part, this energy is generated through coal-fired plants, which creates the greenhouse gas emissions that are a major cause of global warming. According to this Digital Power Group report, today’s technology and telecom ecosystem now consumes almost 10% of the world’s electricity-about 50% more energy than global aviation industry. Solving environmental issues. Technology solutions can help us understand and remedy and/or prevent environmental issues. For instance, climate change modeling requires super-fast computers to crunch through data to calculate things such as a how fast sea levels are rising, or the likelihood of hurricanes and storms becoming stronger. According to a recent BLS Green Technologies and Practices (GTP) survey, 57% of U.S. businesses use green technologies or practices to improve energy efficiency within their establishments, and over half use these green IT to reduce waste materials. SMBs that want to start or build on a green IT strategy should consider not only how they can use technology in a more sustainable way, but also purchase solutions from vendors with a commitment to developing green IT solutions and services. Technology vendors have a major role to play in green IT. 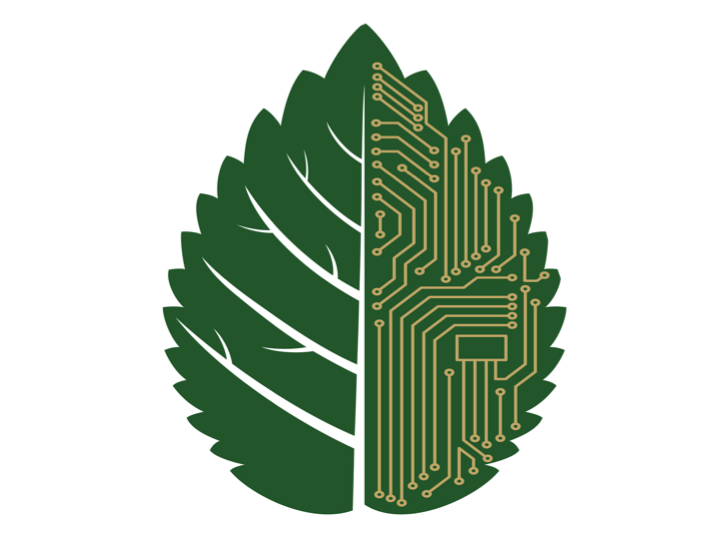 They can build computers with more environmentally friendly materials, design them to consume less energy, provide recycling programs to dispose of old systems, develop virtualization and cloud computing alternatives, and provide service to help businesses that want to go green. Dell embraced green IT from early days, when it began its “Design for Disassembly, Upgradeability, Serviceability” initiative. In 1994, Dell became a founding member of the U.S. EPA’s Energy Star Program, integrating energy efficiency into every product line. The company’s impetus is to make it easier for customers to be green. Dell makes it a point to design with the environment in mind and by embracing sustainability in its own practices, it helps customers reach their own sustainability goals while taking control of resources that create value. Since then, the company has become an innovator in environmental sustainability. Doubled use of green electricity in Dell facilities. In 2013, 16 Dell facilities purchased 100% renewably generated electricity, more than double the number doing so in 2012. Slimmed down packaging. By switching to padded envelopes for more than 500 items, Dell has reduced shipment weights by 73% to decrease packaging waste. Increased use of recycled plastics. Dell has put 7.8 million pounds of recycled soda bottles and other plastics back to work to create backings for monitors and housing for desktops. Expanded its EPEAT program. Dell customers can now recycle over 200 products, including printers, in nine countries. Dell has recycled more than 1 billion pounds of electronics since 2008. Grew its employee work from home program. 20% of Dell’s workforce now telecommutes, saving an estimated 13 million kWh of energy, and 6,785 metric tons of greenhouse gas emissions–and save $14 million annually on facilities expenses. Dell has extended its sustainability initiatives well beyond its own internal operations and goals. For instance, in 2013, the company added social and environmental (SER) criteria to its global supplier selection process, including criteria for clean water and air discharges. In addition to broadening its EPEAT imitative, Dell is helping customers build proactive, sustainable IT strategies that not only benefit the environment, but save money and streamline operations. Dell Services helps customers assess current technology practices and determine options to green up existing practices, and/or develop new approaches to meet sustainability and fiscal goals. With each new generation, Dell products consume less power. For instance, Dell has reduced energy consumption in its desktop and notebooks 25% since 2008, and Dell servers are warranted to run for extended periods at up to 113°F/45°C with only fresh air cooling. Dell KACE Appliances offer green IT management capabilities that conserve energy by controlling how quickly desktops go into low power states. The University of Nebraska-Omaha slashed energy use by 93% and also increased student access to client computers by replacing traditional desktops with Dell Wyse thin clients. Amerijet cut facility costs by 60 percent through energy efficiency and reduced the time to print a manifest and close flights by 96 percent by implementing a virtualized data center and new business processes. Dell and other IT vendors have a huge role to play in ensuring that we use consume and use technology in a more sustainable way. But the green IT story isn’t just for Dell and other big businesses. SMBs can develop green IT strategies to reduce their carbon footprint, and gain business and IT benefits in the process. In the next post in this series, I’ll provide some practical tips to help you get started or continue on the path to help your business reap the benefits of going green. This is the first in a two-part series sponsored by Dell that discusses why green IT is important, and how SMBs can develop and benefit from their own green IT initiatives.